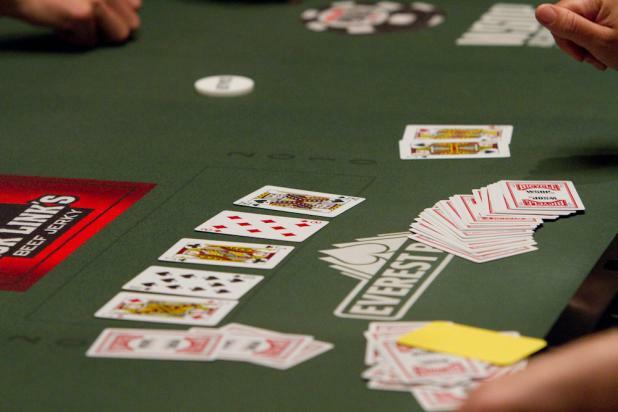 At one of the corner featured tables, Dan Smith won a pot with quad jacks. Normally, he'd only get the chips in the pot, but WSOP title sponsor Jack Link's gives a nice prize package of beef jerky to anyone who wins a pot with four jacks. 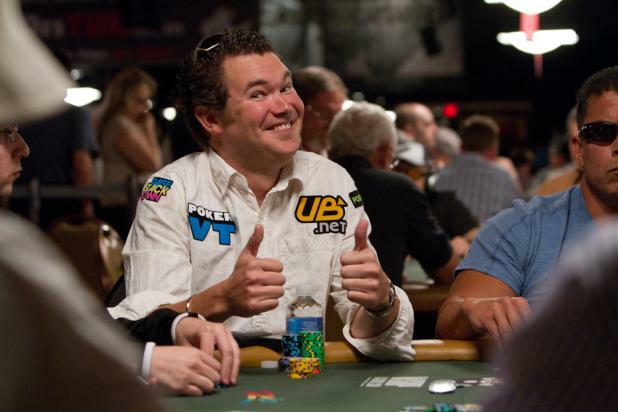 Who has two thumbs and is excited to be playing on Day 1c of the WSOP Main Event? Bryan Devonshire. Early in his career, Daniel Negreanu figured he had a good shot to win the WSOP Main Event during his career -- after all, the field sizes were in the hundreds, not the thousands. But in 2004, when the field exploded to 2,576 and showed no signs of slowing down, he realized that the event would never be the same. 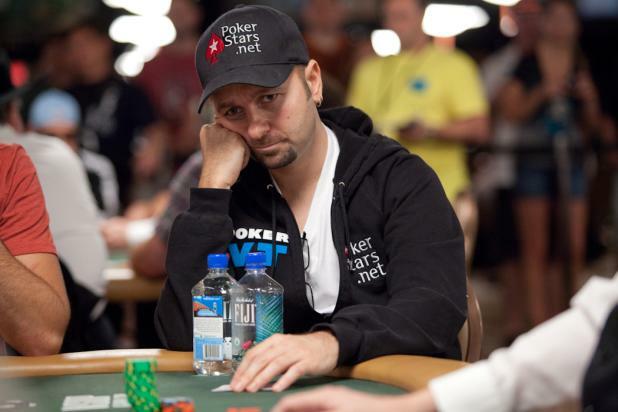 Of course, that doesn't keep Negreanu from trying, and he spends several days getting himself ready and focused to play in the WSOP Main Event each year. Carlos Mortensen has a below average stack of 26,650 in chips (players start with 30,000), but he still has enough to build a basic structure on Day 1c of the WSOP Main Event. 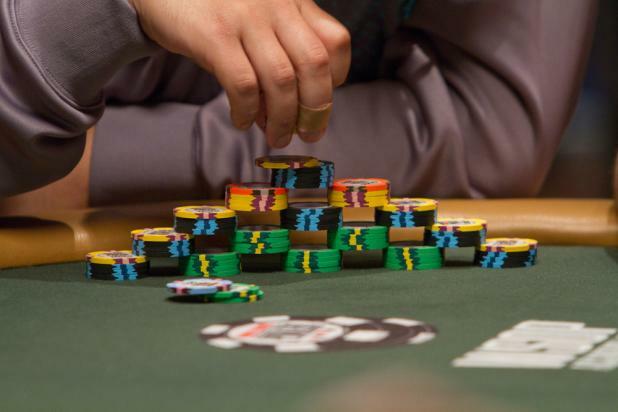 As he gets more chips, Mortensen is able to build larger, more intricate structures. 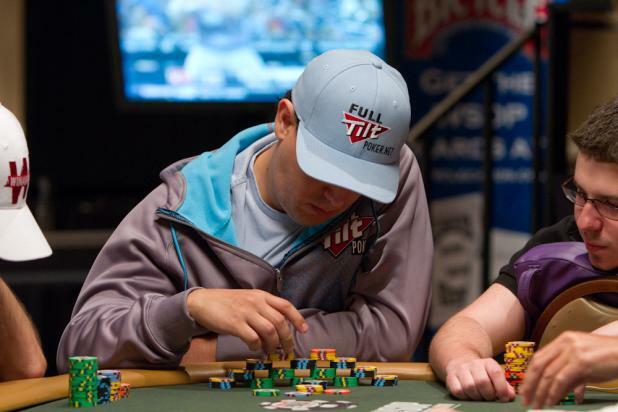 On Day 1c of the WSOP Main Event, Carlos Mortensen is at one of the corner featured tables, using his chips as building blocks in one of his trademark chip sculptures. While it makes chip counts a bit more difficult, it sure looks cool. 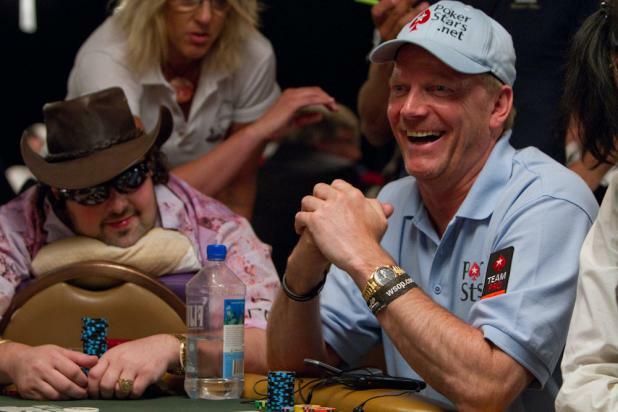 David Bach (left) and Marcel Luske are having a good time as they play side by side on Day 1c of the WSOP Main Event. Bach won the $50,000 H.O.R.S.E. 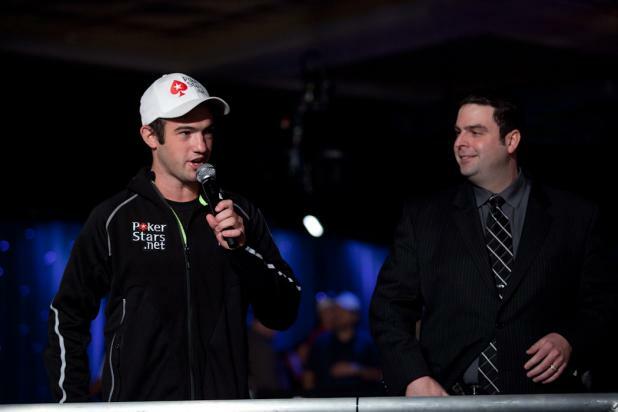 event last year, while Luske finished in the top 14 of the WSOP Main Event in back-to-back years (2003 and 2004). Those were the same years that Dan Harrington made back-to-back final tables, and in fields of 839 players and 2,576 players, two players (Harrington and Luske) finished in the top 14 both times. 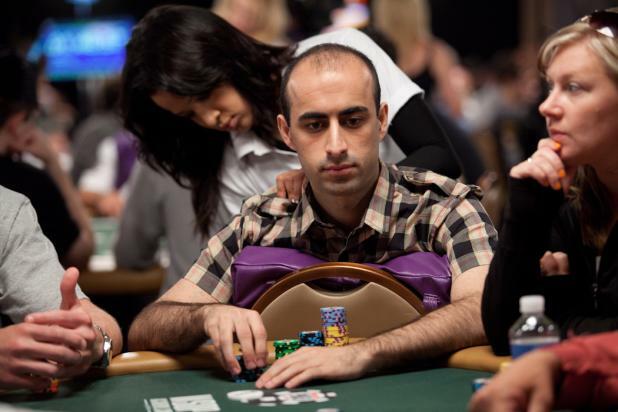 Daniel Alaei gets a massage as he plays on Day 1c of the WSOP Main Event. Alaei won the third WSOP bracelet of his career in one of the final preliminary events -- Event #55 ($10,000 Pot-Limit Omaha). Alaei said, "The first one, of course, was special. The second one too, because it solidifies the first one. And then the third one solidifies the first two. They all feel good. I want to keep on winning more." 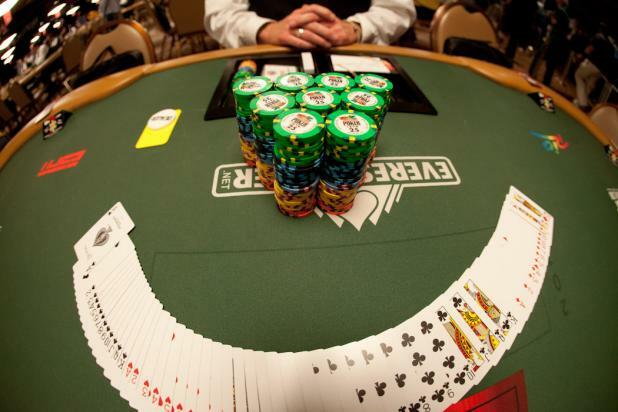 With three bracelets at the age of 25, it leads to questions of how many Alaei could win in a career, evoking comparisons to players like Phil Hellmuth and Phil Ivey -- and is there any compliment in poker higher than that? Joe Cada - Shuffle Up and Deal! Reigning WSOP Main Event champion Joe Cada (left) joins Tournament Director Jack Effel on stage to give the traditional "Shuffle up and deal" to begin play on Day 1c of the WSOP Main Event. A dealer is all set and ready to go before play starts on Day 1c of the WSOP Main Event. 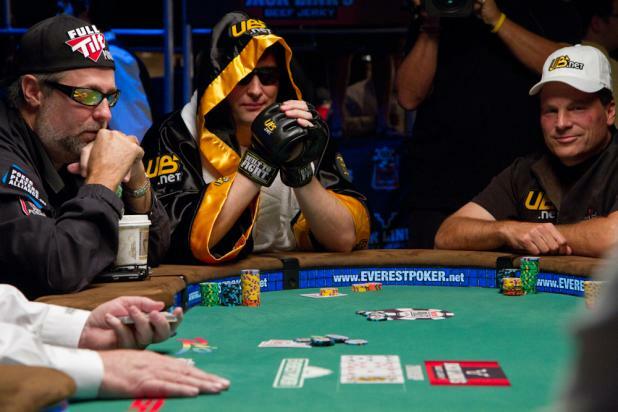 Still dressed in his UFC costume, Phil Hellmuth plays his first hand, eventually folding to a river bet and showing one card -- a seven, which paired the flop. Hellmuth played the last 15 minutes or so of the level and then changed into his normal clothes during the break.